When it comes to food, my mum and I rarely agree on the same dishes. 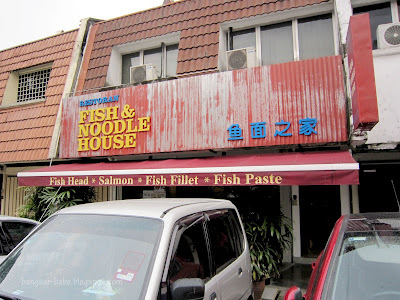 But she can be very persistent if she wants to eat something; which was why my brother and I ended up eating fish head noodles at one of her favourite lunch places — Fish & Noodle House in Damansara Kim. If you want a place to sit, it’s best to get there before 1pm as the place gets pretty crowded. Mum ordered her usual poached fish fillet noodles (RM13.50) with no milk in her soup. 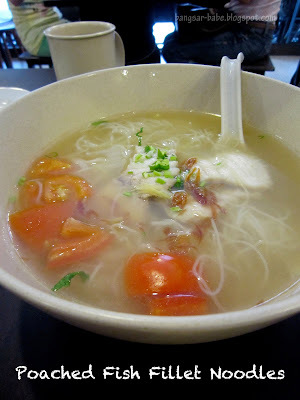 I don’t like clear soup noodles as I find the flavour too bland. 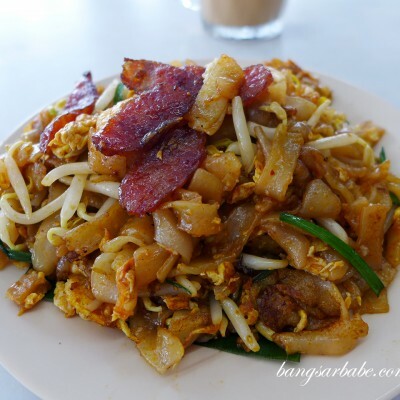 Unless I’m not feeling well or it’s Ipoh kuay teow soup, you’ll never catch me ordering one. Bro and I had the fried fish fillet noodles (RM9.50) with milk. I’ve been eating the noodles for quite a while, as mum usually buys me a packet whenever she eats there. For RM9.50, I find the portion scant; the bowl is big but the noodles only fill half of it. 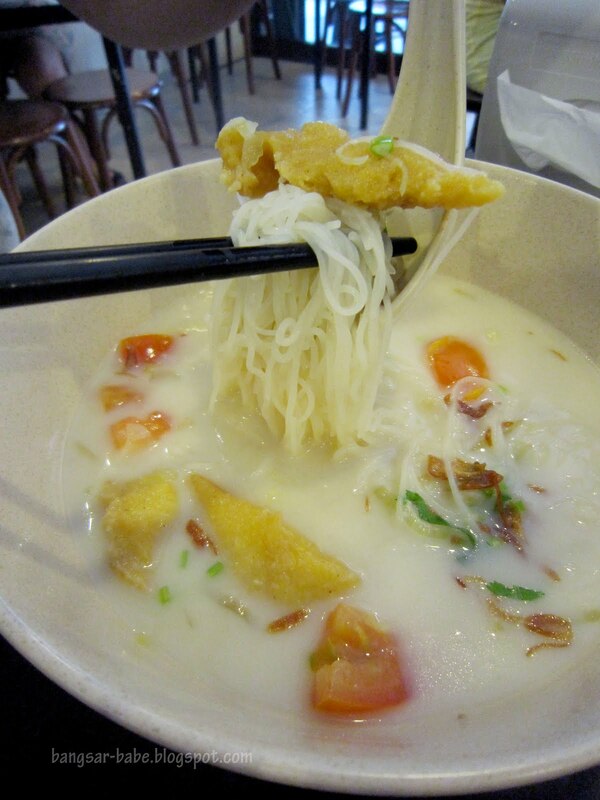 You can add RM1 for extra noodles, but that only means it will be more expensive. The noodles were alright, but I thought the soup lacked salted vegetables and tomatoes. It tasted a bit mild for my liking and that’s probably the reason mum loves this place. The fish fillet pieces were decent, but not something I would rave about. 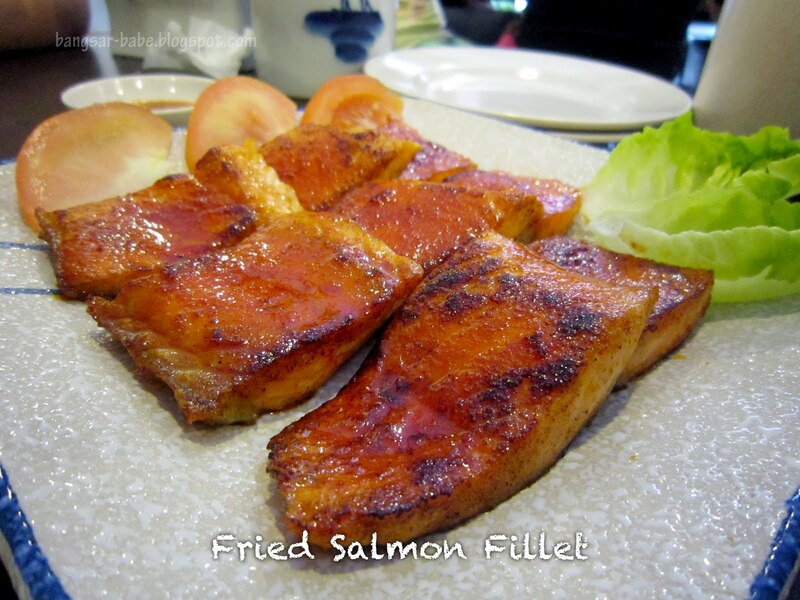 I liked the fried salmon fillet (RM15.90) but wasn’t too hot about the price. I guess that’s the price to pay to salmon these days. That said, the salmon slices were pan fried till crisp on the outside and smooth on the inside. Good stuff. 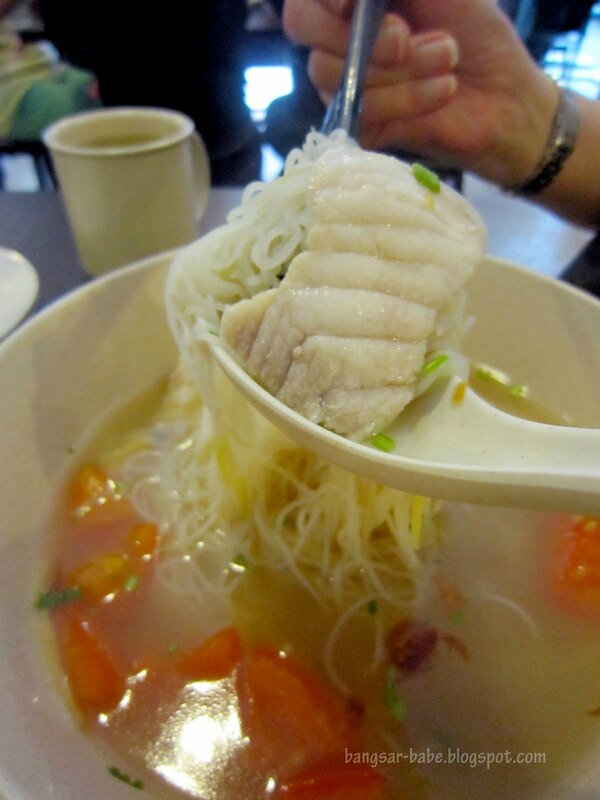 While this isn’t the best fish head noodles I’ve eaten, it is decent and the ambiance is relatively comfortable. If only the portion could be bigger….my brother and I were hungry at 4pm! Verdict: Decent fish head noodles, but prices are slightly steep. Eh, I went to this last week. And found that the salmon could be such great substitute to the fried fish head. Dunked in milk, was one of the better ones. 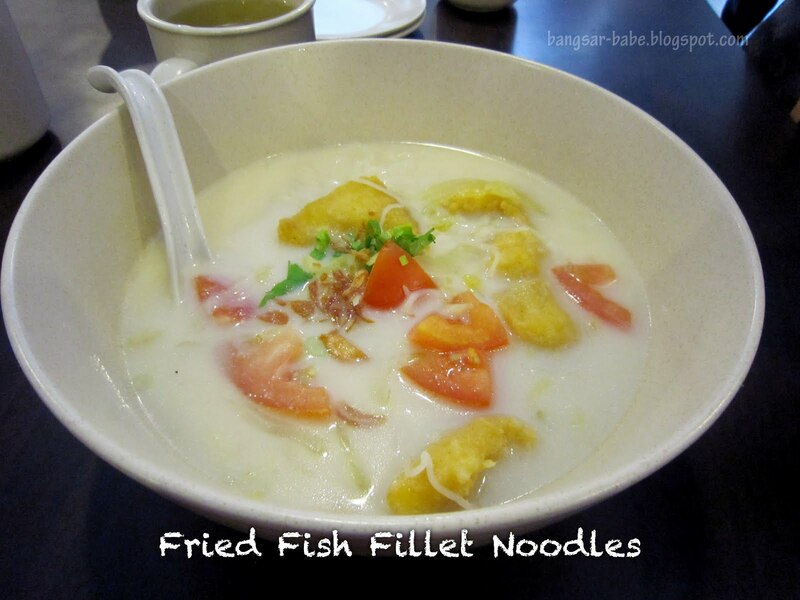 no milk in fish head noodle? if homecooked then maybe can lah… be if eat outside, tak boleh lah… usually any noodle soup, i dun drink except the fish head one. Baby – I usually finish my soup…right down till the last drop! dropsofcontentment – I used to eat there. But if I'm not mistaken, the stall is no longer there.